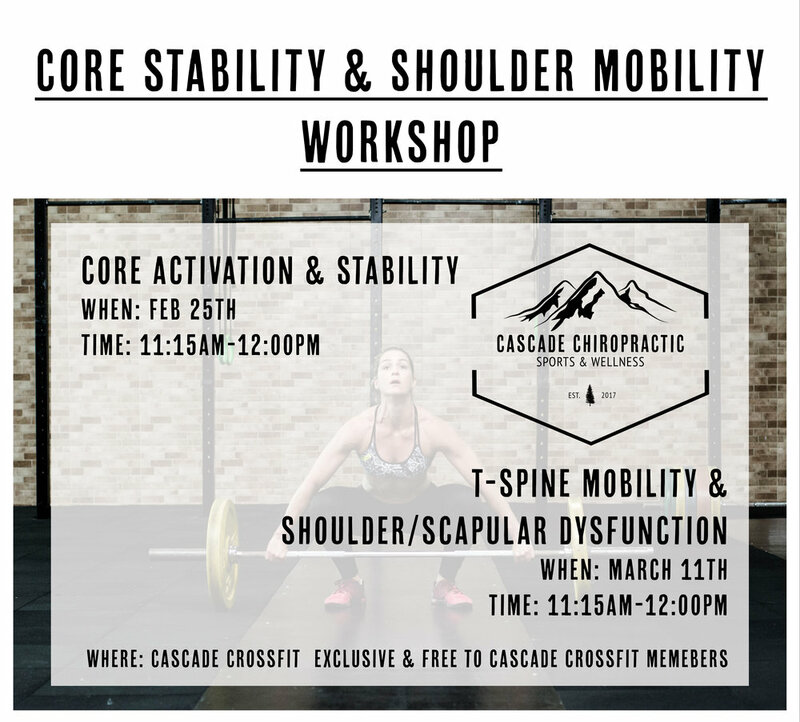 Join me, Dr. Brady, on Saturday February 16th for an interactive class on how to engage your core correctly! Still struggling with low back pain? Yeah, I did too. Learning how to engage the core correctly was one piece to the puzzle for me, and let me tell you it is NOT how your pilates instructor taught you how to engage it. I saw a traditional chiropractor for years and felt SOME relief, but as I expanded my knowledge to learn how to give my patients the best care in my own office I was able to give myself a pain free back as well! My hope is to spread that knowledge to YOU so that you can have the power to take control of your rehabilitation process! Learn how to balance your mood, calm but sharpen your mind, regulate stress hormone levels, and have more energy! Snacks and drinks will be provided along with gifts, prizes, and presentations from me, (Doctor Brady) and my good friend Karen!